News organizations have been putting more money — and resources — into their Facebook and Twitter efforts. Engagement, like news, is a 24/7 job, but there are times when newsroom producers and community managers can get some serious bang for their buck. What does this mean? Your newsroom probably has weekend web producers. You either have a Sunday newspaper, newscast or web content. If your news organization has a Facebook page, post links to your stories on there over the weekend. It’s as simple as that. Tweet early in the morning, and be sure to post a variety of content, including any traffic tips and weather updates. If you get these out the door early enough, there’s a good chance your posts can show up in people’s Facebook News Feeds. Post reminders for your followers to check your Twitter and Facebook profile for early morning traffic tips and weather, as well as other news and information they need to know. 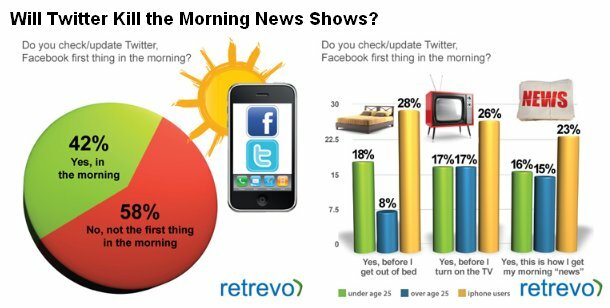 Do you update your news organization’s Twitter pages and Facebook fan pages on weekends? First thing in the morning? What — and when — do you post? Please leave your thoughts as comments below!